Week Two of Mud Slinging went better than Week One. 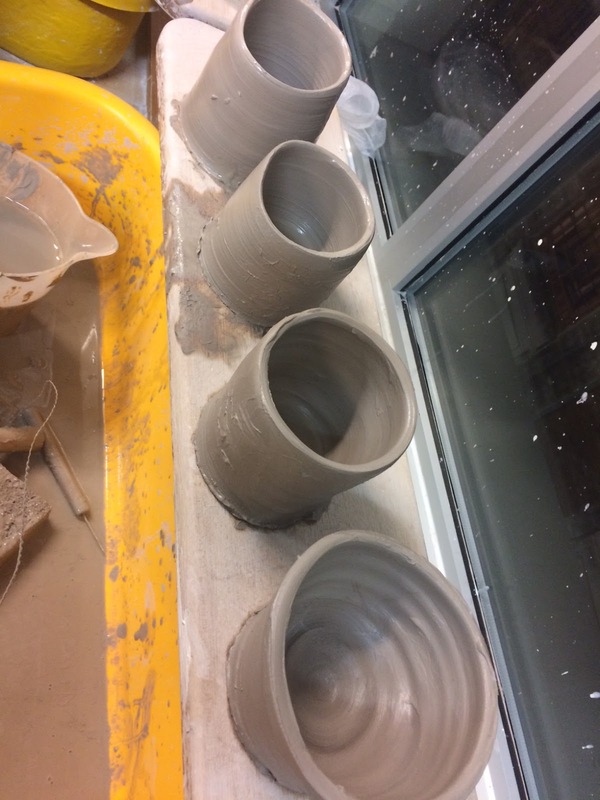 After a great deal of concentration, an aching back from leaning over the wheel and sore muscles from man-handling lumps of clay, I produced four very wonky cylinders, one definitely more bowl-shaped than it was supposed to be. 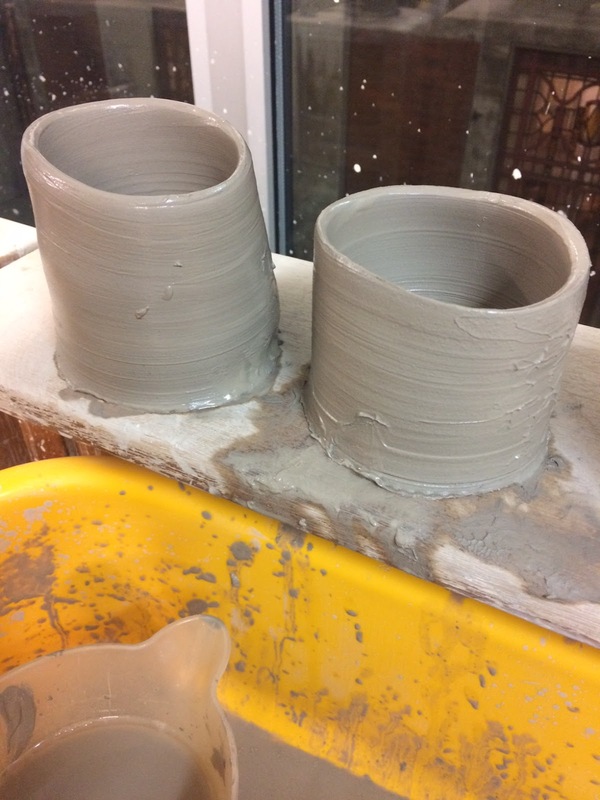 With a bit of careful cropping, they look much better! 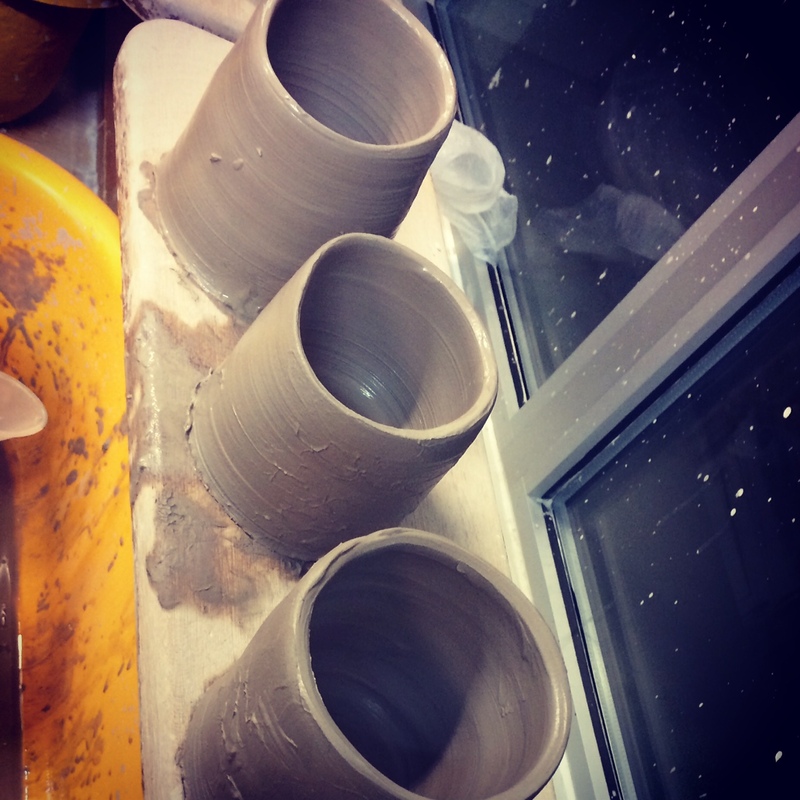 Despite the uneven shapes, I had progressed from Week One and staggered off home, exhausted on a Monday night to ease my aching back. Mud slinging… harder than it looks on TV!